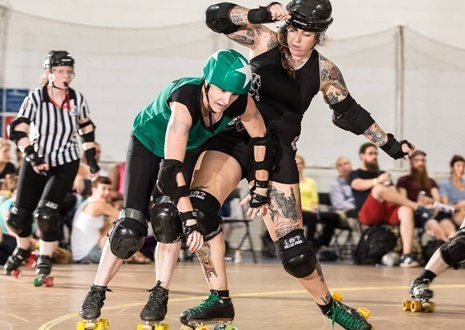 Derby History: Found my love for roller derby with the Chicago Outfit. I skated with the <3 Syndicate from Nov 2008-Aug 2015. 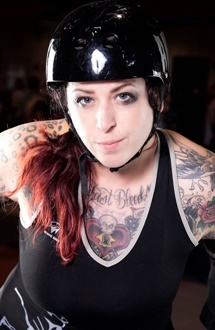 I had one season with Roller Girls of the Apocalypse from April 2012-April 2013 while living in Ramstein, Germany. I moved to Washington in September 2015 and joined Rat City in February 2016. Injuries: Worst one was in 2015, took a helmet to the face and luckily got a broken nose along with whiplash and a concussion. Other than that some sprains….. and a rib that would pop out of place… oh! and LOTS OF BRUISES!